Rue amandine : exclusive apartments rentals in Paris – A TAVOLA ! Are you one of the 76M° people visiting Paris every year ? And most likely looking for a nice boutique place to stay ? 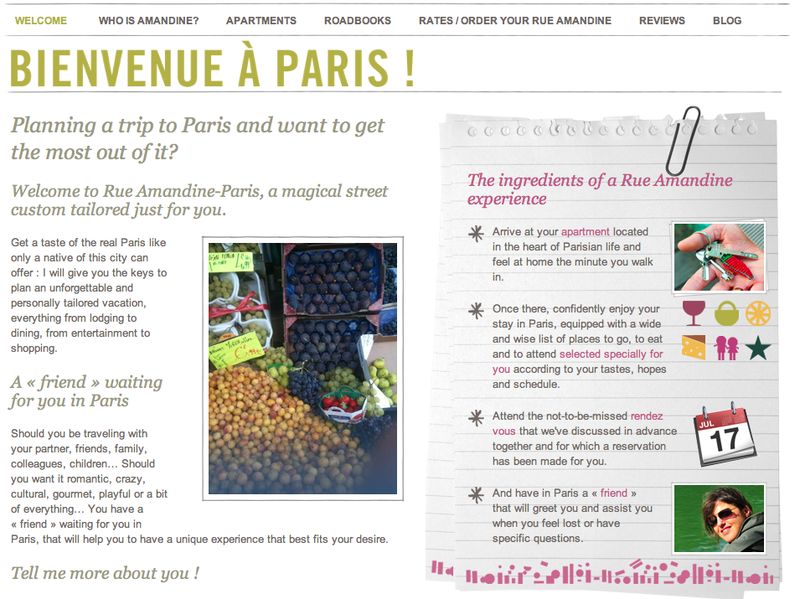 Well, “www.rueamandine.com” is offering a pretty narrow but exclusive apartment selection Paris intra-muros. For 250€ per night you’ll be provided with fully serviced apartments and a customized guide of what to do, where to eat and pass by which amandine herself ( the owner we met ) will cook for you after you’ve filled in a small questionnaire. A very nice and fresh initiative from a very energetic parisian young lady. We like and recommend !